Valentine’s Day is quickly approaching, apparently. I don’t actually take much notice of this holiday — I’m married, I just…don’t care? I really only pay attention because it’s my father’s birthday. That said, I do love any excuse to buy things for my cats or things related to cats, so why not use this as one? If your kitty’s collar is looking a bit dingy, you can pick up a new one from Sweet Pickles, my favourite resource for breakaway collars for my two cats. 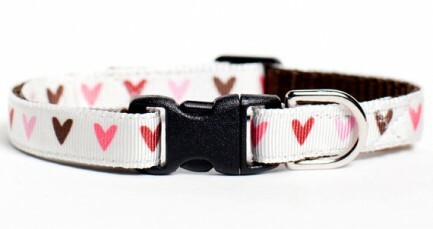 The heart-patterned collar above is adorable — how cute would it be on a grey kitty? — but you can also get one covered in red glitter if your feline is especially fabulous. 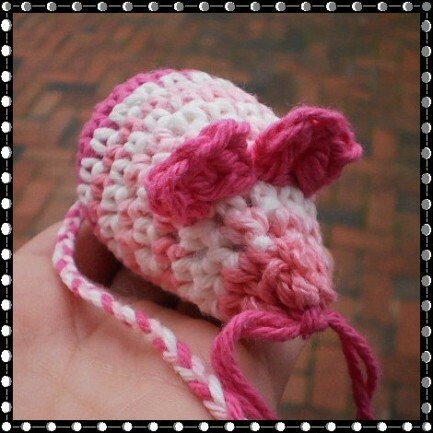 This pink crocheted mouse is filled with catnip, and $2 from each one sold goes to Ocean County Animal Facility in Jackson, NJ. The new Teal Cat t-shirt is a very seasonally-appropriate colour, and talks about love! 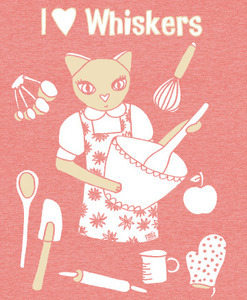 Valentine’s Day is also for people who love cats and cake, right? 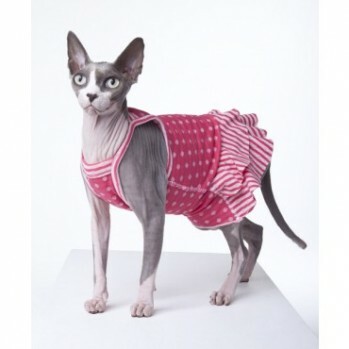 And if you have a particularly tolerant cat, you could get this. I guess?